Social media has been on an uptick in 2018. 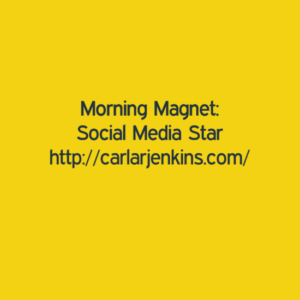 My Twitter, Pinterest, LinkedIn and Medium profiles have been exploding! Growth has been steady because of the big time content creation. I am all about helping my audience achieve small, actionable goals. 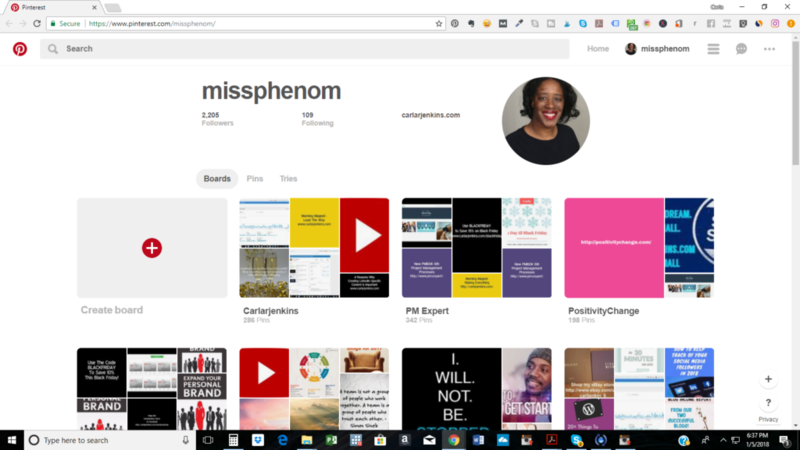 Pinterest is my largest social media following. I have surpassed 1700 Twitter followers. It has taken me a little longer than expected. 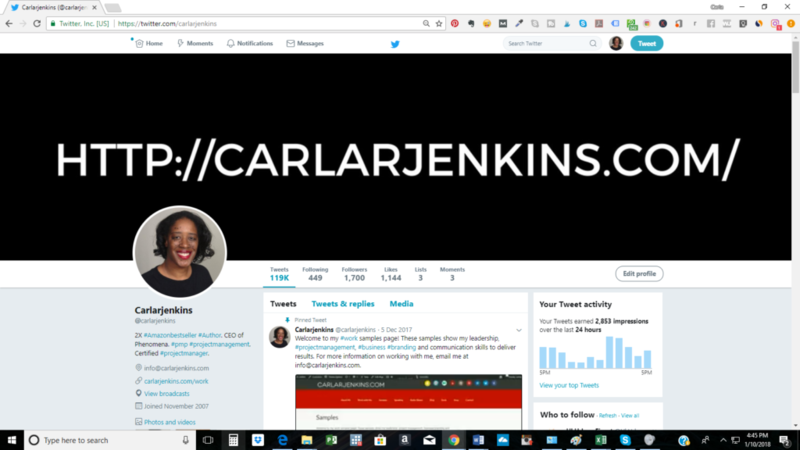 I do feel that the Content Writing Chat, Flip Biz Chat, AdWeek Winnie Sun and CMWorld Twitter chats have bolstered my following. I have received 1150 LinkedIn followers fast due to my LinkedIn-specific content. 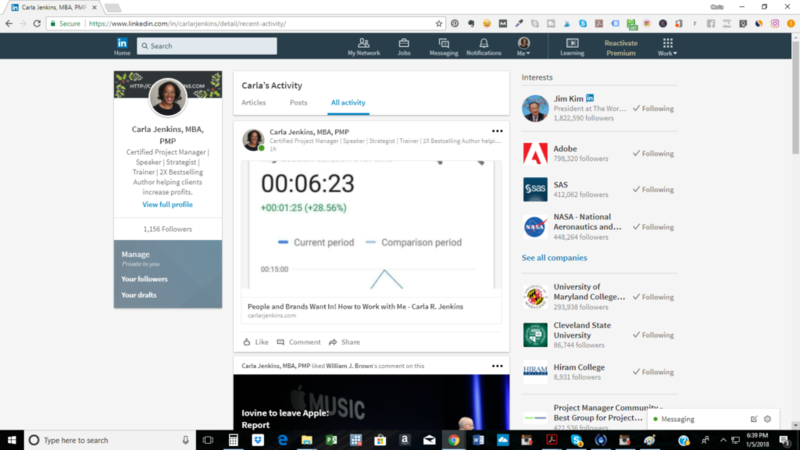 It is very important to ensure that you solve LinkedIn-related and business-related problems to increase your following. My goal is to get to 1250 followers by January 31st. I have surpassed 250 Medium Followers. I admit that it is very hard to get new followers. The algorithm has changed. I am a Medium Member since May 2017 and have been given membership in March 2017 before everyone else. 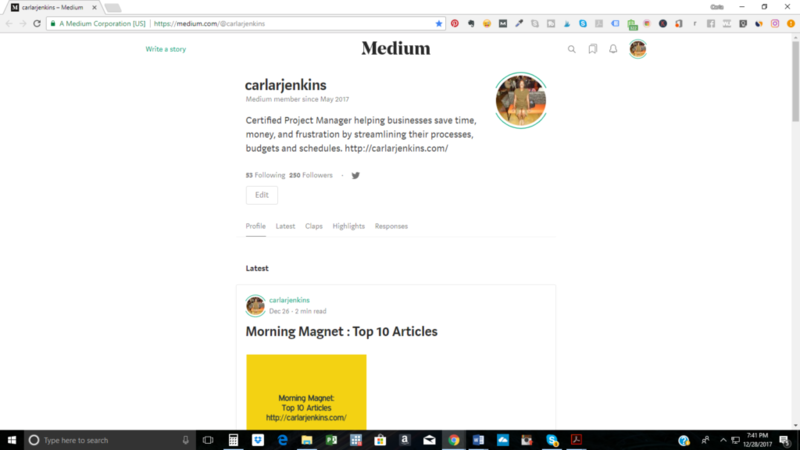 I am in the process of joining the Medium Partner Program.